Delay Lines Custom designed to your requirements. Producing coaxial delay lines to exacting customer specifications is a highly-developed capability at EZ Form. Using our cable with its superior characteristics allows us to shape delay lines into almost any configuration required, and meet your most stringent electrical and mechanical specifications as well. Our standard delay lines (shown below) fit a wide range of needs and are available with a short delivery time. Should you need a special design or a custom electrical specification, our engineers will work with you to configure a delay line that satisfies your requirements. Contact Us with your requirements for custom delay lines with special cable types, configurations, finishes, or electrical characteristics. Delay tolerances shown above are standard; delay lines can be made with tolerances as tight as ±20 picoseconds on special order. 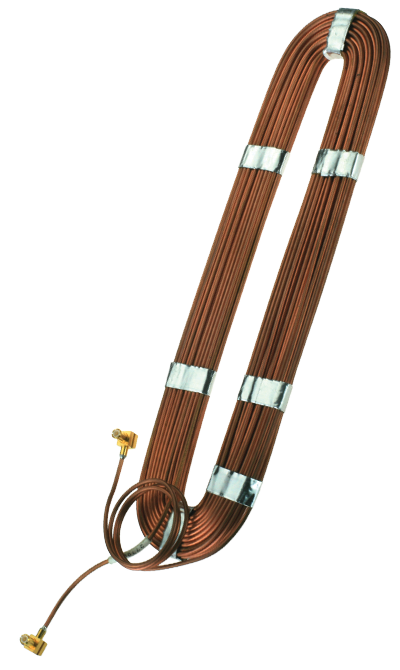 *For 40% weight savings, add “AL” to part number for delay lines made with EZ FormAL aluminum-jacketed cable.